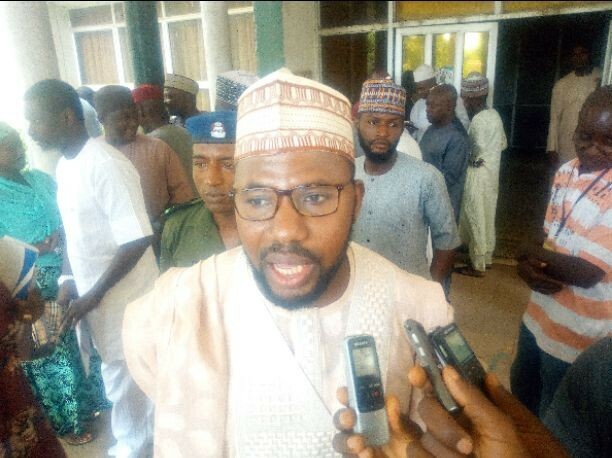 Speaker, Kaduna State House of Assembly, Abdullahi Aminu Shagali, on Tuesday assured the people of the state the readiness of the assembly to pass Violence Against Persons Prohibition (VAPP) Bill before the next assembly. The law, known as VAPP Act passed by the federal government in 2015 was developed to address the prevalent domestic violence against all persons in Nigeria and as since been in operation in Abuja and its environs. The Speaker, who made the assurance when Gender Awareness Trust (GAT) Advocacy Committee on VAPP Bill paid him courtesy visit in his office vowed, to always support a course that will help the people in the State realise their dreams through legitimate means. “We are going to pass this Insha Allah. Looking at statistical details of cases of domestic violence we have had in the state which indicated there is violence everywhere. “We will look at the bill page-by-page, get in touch with religion and traditional bodies in case there is conflict of interest and reconcile if any. We are representatives of our people and we will do all that will protect them to realise their good potentials”, he said. Earlier, Executive Director, GAT, Dr. Lydia Umar reiterated the support the speaker has been giving such courses including the recently passed Child Welfare and Protection Law by the assembly where her organisation played a vital role. “We’ve been following your activities including review of penal code and we are happy with your idea of always fulfilling your promises as regard to welfare of people of Kaduna State. “We know it is very important to be here considering how important your honourable office is in this course and we hope you will consider the bill when presented. “Now that we have VAPP Act at federal level, we saw the need to see how it could be domesticated here in Kaduna. We have done a lot of search and visited about six commissioners and permanent secretaries and they have given their support. “So, we will be very happy if Kaduna state as usual, can be the first state to pass the law. Violence must be punished so that offenders will know it is a crime to pick up violence against anybody while victims would also be happy to know there is justice for them”. A traditional father, Bunun-Zazzau and member of advocacy committee, Alhaji Baca Mohammed Tijjani urged the leadership of the assembly to ensure speedy consideration for the bill to scale through since violence can affect anybody.